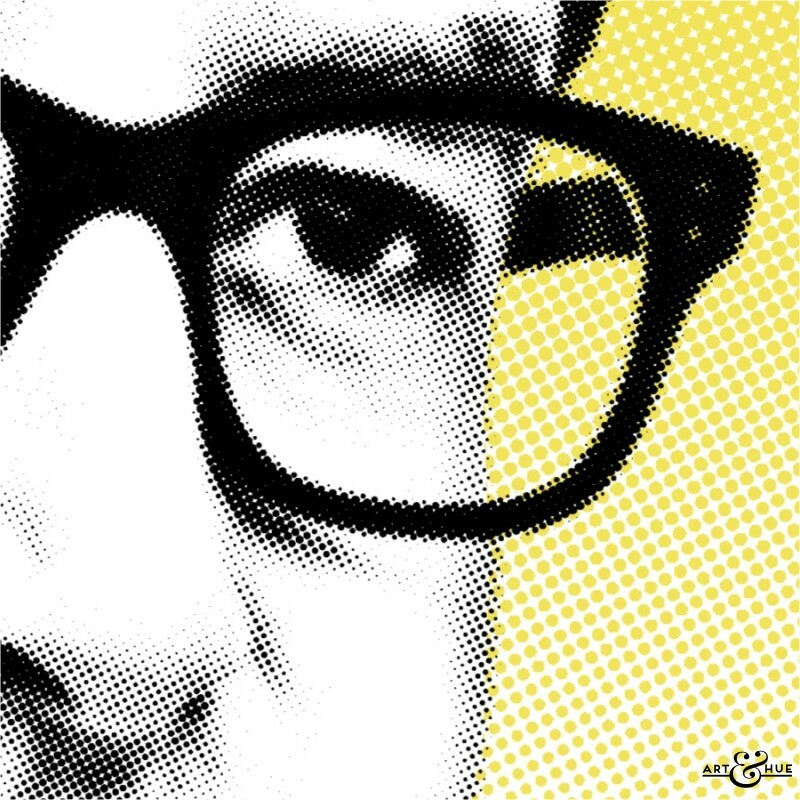 Peter Sellers pop art print, part of the “Funny Men” pop art collection. Also available as part of a group of four or ten prints. SKU: N/A. Categories: A2 Art Prints, A3 Art Prints, A4 Art Prints, Art Prints. Tags: Comedy, Cult, Film and TV, Funny, Funny Men, Laurie Johnson, Peter Sellers, Retro. 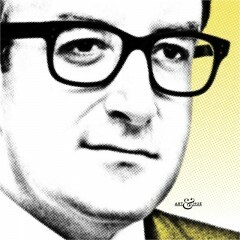 Peter Sellers stylish pop art print. 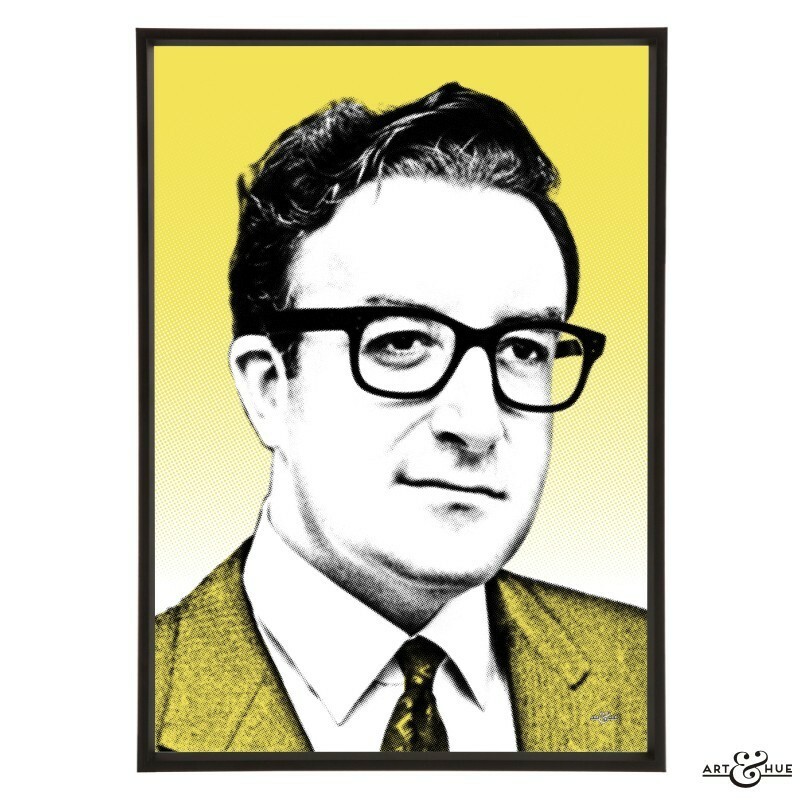 Described by the Boulting Brothers as “perhaps, the greatest comic genius this country has produced since Charles Chapln”, Peter Sellers was an integral part of British comedy, first on radio and then in film. There were three overlapping sections of Peter’s career starting with the fame that “The Goon Show” brought him and his fellow goons Spike Millligan and Harry Secombe. The radio shows throughout the 1950s brought their surreal humour into living rooms across the country and secured ardent fans in Britain, including Prince Charles, as well as globally. Alongside the Goon era, his career entered the classic British film period, during which time Sellers appeared in “Orders are Orders” with Sid James & Tony Hancock, Ealing Comedy “The Ladykillers” with Alec Guinness, Herbert Lom, & Frankie Howerd, “The Smallest Show on Earth” with Margaret Rutherford & Sid James, “The Naked Truth” with Terry-Thomas, Dennis Price, & Joan Sims, and “Carlton Browne of the F.O.” with Terry-Thomas & Irene Handl. Initially unwilling to take the part, the legendary British filmmakers John & Roy Boulting persuaded Sellers to play the supercilious shop steward in the satirical comedy “I’m Alright Jack”. Also starring Terry-Thomas, Liz Fraser, Ian Carmichael, Richard Attenborough, Margaret Rutherford, Dennis Price, and Irene Handl, the film was a huge hit and won Sellers a BAFTA for Best British Actor. Sellers’ British film career continued with “Never Let Go” with Adam Faith, “Two-Way Stretch” with Liz Fraser, Bernard Cribbins, Irene Handl, & Beryl Reid, “The Millionairess” with Sophia Loren, Alastair Sim, & Dennis Price, “The Road to Hong Kong” with Joan Collins, “The Dock Brief” with Richard Attenborough & Beryl Reid, “The Wrong Arm of the Law” with Bernard Cribbins, and “Heavens Above!” with Ian Carmichael & Irene Handl. When he was cast as Inspector Clouseau in what was supposed to be a David Niven vehicle, Sellers stole the film with his bumbling police detective. With the global success of the film, which also starred Capucine and Claudia Cardinale, Peter’s career was joined by the Hollywood era. “The Pink Panther” gave birth to the animated cat as well as the classic film character of Clouseau. Sellers would return to the detective with “A Shot in the Dark” in 1964 but it wasn’t until 1975 that Clouseau was fully revived in three further Pink Panther films, including “The Pink Panther Strikes Again” with Leonard Rossiter & Herbert Lom, and “The Revenge of The Pink Panther” with Valerie Leon. Sellers played three characters in Stanley Kubrick’s “Dr. Strangelove or: How I Learned to Stop Worrying and Love the Bomb”, including the title character, for which he was nominated for an Academy Award. Further credits included “What’s New Pussycat?” with Capucine & Françoise Hardy. “The Wrong Box” with Michael Caine, Tony Hancock, Leonard Rossiter, & Irene Handl, “After the Fox” and “The Bobo”, both with Peter’s then-wife Britt Ekland, “Casino Royale” with David Niven, Orson Welles, Bernard Cribbins, Ronnie Corbett, & Jeanne Roland, “The Party”, “The Magic Christian” with Richard Attenborough, John Cleese, Dennis Price, Christopher Lee, & Hattie Jacques, “There’s a Girl in My Soup” with Goldie Hawn & Diana Dors, “Alice’s Adventures in Wonderland” with Dennis Price & Dennis Waterman, and “Murder by Death” with Alec Guinness, David Niven, & Maggie Smith. One of the most popular films at British cinemas in 1962, “Only Two Can Play” co-starred Richard Attenborough and was filmed on location in and around Swansea in Wales. The film opened in London at both the Columbia & Odeon Marble Arch Cinemas on the 11th of January 1962. 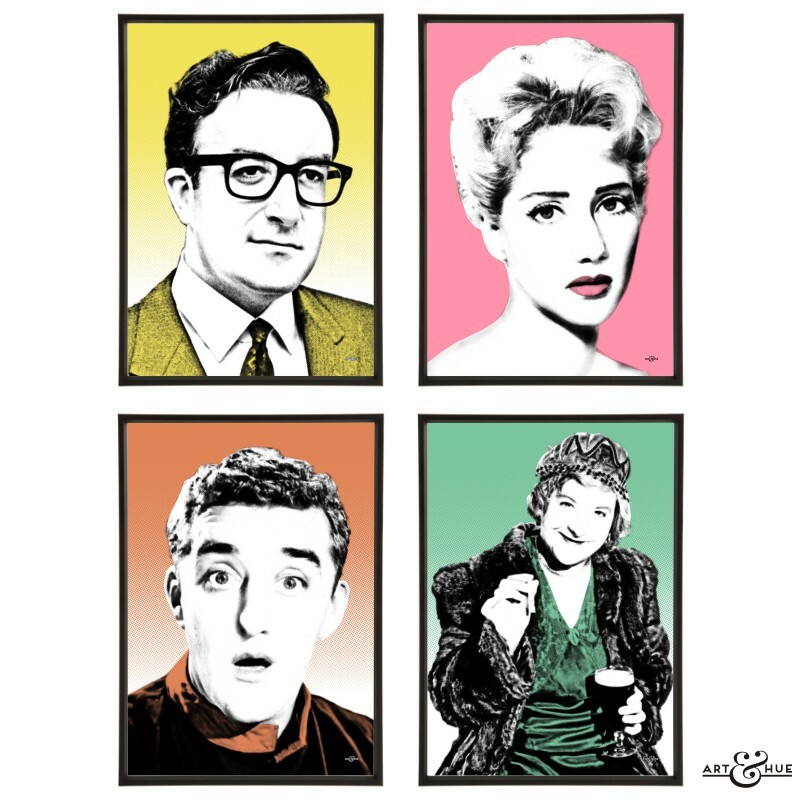 Art & Hue had the pleasure to delve into the archives for the film “Only Two Can Play” to create this stylish pop art print of Peter Sellers, available in three sizes and 18 colours. Discover, or rewatch, “Only Two Can Play” on DVD. “Only Two Can Play” Copyright © STUDIOCANAL Films Ltd. (1962). All rights reserved.